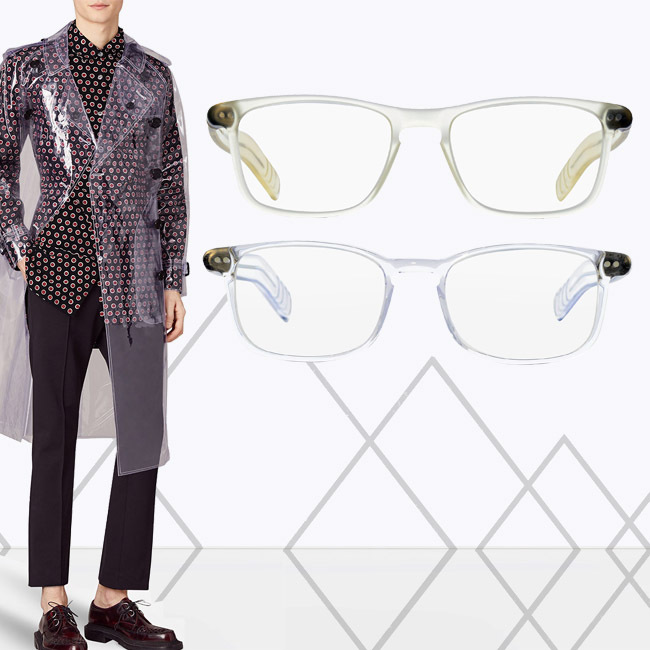 For Lunor, this year is all about opting for a clear view. Transparent vinyl, plastic or lace fabrics dominate this season’s fashion trends and shed light on thrilling outfit details. This also applies to Lunor’s clear acetate frames: They add subtle contour to the face and thereby highlight the bright area around the eyes. Emphasizing the beauty of the individually shining iris, the transparent shades of acetate are named crystal or antique crystal matte. 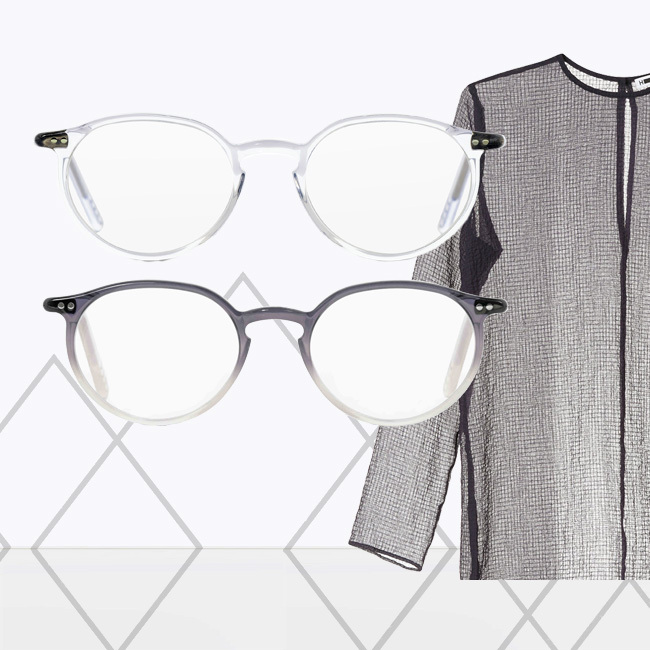 Apart from the completely lucent acetate colour crystal, the nuance grey crystal also grants a special glimpse – the fine gradient in shades of grey and white creates a unique play of colours, making the frame a true highlight. A colourful perspective is provided by the versions of the A10 collection: delicate pigeon blue meets gentle cream and warm mahogany. 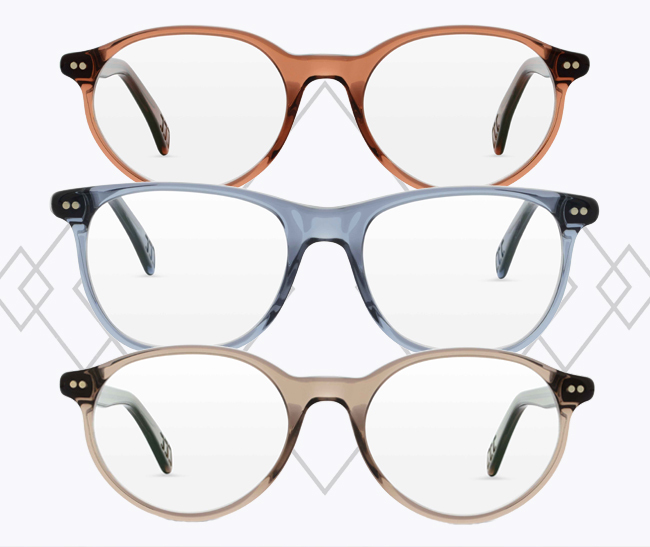 Both in a round panto shape and in a rectangular form, the models of the A5, A6 and A10 collection are persuasive with the highest quality – all acetate models are manufactured in Southern Germany. There, in more than 200 steps, the frames are milled, grinded, curved, glazed and finally polished by hand. The collection also includes antique-looking metal rims, titanium frames, sunglasses and a broad range of acetate frames in retro design.